We played a competition that the low handicappers love on Saturday as we played for the Scratch Trophy sponsored by Birdie Consulting, the Trophy is awarded to the player with the best gross score so the course was set up with some tough pin positions to test our best golfers and with the fairways running firm and bouncy, it made for some pretty tricky playing conditions. Gareth Eaton was one of the favourites for the Trophy as he has had another steady season but he can't have been too hopeful after he started his round on Saturday with a tee shot out of bounds and an eight! However, he dug in with four pars to follow before another ugly eight on the sixth hole! Despite the two disastrous holes, to his credit, Gareth really dug in on the back nine and he played the last eight holes in one under par gross with 7 pars and a birdie on 16 to battle to a score of 78 and this proved to be the winning score for Gareth to claim the Scratch Trophy for the first time and his seventh board competition. Young Cameron Senior came agonisingly close to beating Gareth, he matched his score of 78 but lost out on the card play-off because his back nine just wasn't quite as good as Gareth's. Stuart Gray was third with an 80 that included 2 birdies. In the nett section, it was a fine round of 64 from Gemma Davies that saw her claim top spot and more valuable Order of Merit points. Gemma has now won two of her last four competitions and she has hit a great bit of form as her handicap has dropped by three shots to 23. Second place in the nett was 65 from Alan Tayler and longest drive was won by a booming three wood shot from Liam Tyrer, whilst nearest the pin was Paddy Scanlan with a tee shot on the fifth hole that was within about 5 feet from the cup. A big thank you to Chris Bird for his company's continued sponsorship of the Scratch Trophy. This Sunday we play the July Medal starting at 12:04pm. Remember that the big one is coming up soon on Saturday 7th July as we play our Club Championship from 11am, the entry sheet is already filling up nicely so don't miss out. The ladies played a board competition last Thursday as they played the Midsummer Cup and the weather lived up to its name as it was another dry but breezy day. The scoring was excellent and Annie Rowland had the 'game of her life' as she blitzed round the course with a score of 45 points to get her name on the Trophy. This is the now the third occasion that Annie has got her name on the ladies honours boards and her round was particularly good on the front nine as she went out with 24 points including two pars, the reward for Annie is a massive handicap drop of five shots from 32 to 27, well done Annie great work!! Jean Clare has been playing consistent golf of late and she had her second runners up position in a row, this time with a score of 41 points and although Jean hasn't finished in top spot, she has seen her handicap fall from 34 to 30 in her last two rounds. Chris Lever came third and also won longest drive whilst Kath Hough took the nearest the pin prize. This Thursday the ladies play a Charity 9 hole Stableford which always gets a good turn out and raises money for the Lady Captain's chosen cause. Last Tuesday the seniors had a beautiful sunny day at Malkins Bank for the Claret Cup, which is always played for on their Captain's away day. In previous years it has been an extremely close call with good scoring and this year was no exception. Many of the seniors had not played the course before whilst others hadn't done so for up to 30 years. Chris Coates is always amongst the prizes and he managed 38 points despite lucking out with some lipped putts. In second place was Andy Margeson with 39 points, finishing strongly with 10 pars overall and a birdie on the last hole which featured a fantastic putt over the length of the green. The Claret Jug went to first place Rhett Butler who went round in a total of 41 points, a fantastic course around an unfamiliar course. This week the seniors are back to home base for their monthly 18 hole Stableford, we're sure we will again see strong scoring. We like to keep our diary full with fitting days and we next welcome Callaway here on Tuesday 17th July from 2-6pm. Tom from Callaway will be on hand with all of his extensive demo kit to give up to eight golfers a FREE custom fitting session on any of the 2018 range. Callaway have recently released the new XR Speed line of drivers and fairway woods and they do live up to the name as their aerodynamic design offers exceptional ball speed that is the key to distance on your tee shots. Also in the current line-up is the Rogue range, the Rogue driver has been our best seller so far this year and again the key to its success is the Jailbreak technology within the club head that virtually guarantees extra ball speed and more forgiveness. Have a watch of this short video and it will give you an insight into why the Rogue driver is our best-selling driver. Click here to watch. If you haven't tried this year's Callaway range you really are missing out and our fitting day is the perfect time to put this right as we can offer you a free custom fitting experience with expert advice and no obligation, what have you got to lose?! These days always fill up fast so book a slot now by contacting us here. After all the pressures of the many board competitions we have played recently, we have a much more relaxed event coming up soon as we play the Captain's Charity Day on Saturday 14th July hosted by Captain's Dave Shering and Sue Gunning. The format will be teams of four with the emphasis on an enjoyable days golf whilst raising money for the chosen charities of The Salvation Army and Breast Cancer Research and Care. There will be lots of prizes on the day followed by a barbecue and evening disco, the entry sheet is now up on the main club noticeboard and 5 day members are encouraged to play too in what is very much a fun, social day to raise some money for good causes. Two more great promotions have begun in store, firstly if you buy a new 2018 TaylorMade driver, fairway, hybrid or set of irons, we will give you a dozen FREE TP5 balls that normally sell for £39.99. 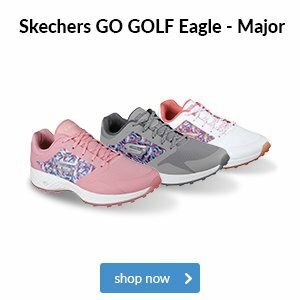 This is the top ball used many of the world's best players including Dustin Johnson, Rory Mcilroy and Jason Day amongst others so it is a great deal. Given the warm weather, you don't want to go thirsty on the golf course so another fantastic offer is a FREE limited edition Titleist refillable infuser water bottle that we will give you when you buy just one dozen Titleist Velocity balls at just £22.99. The Velocity balls are one of the best balls we sell in store anyway so they are well worth trying, but be quick as we have limited stock of the water bottles and they are flying out at the moment! From Wimbledon to the World Cup, our summer calendars are jam-packed with a range of sporting events taking place all over the world. 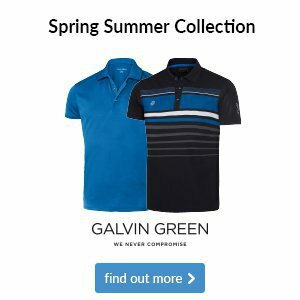 To celebrate, any golf holiday booked through our partners at Your Golf Travel between now and the end of July will receive a FREE polo for the lead booker. Where are you going to go for your holiday? If not, then it's time to get excited as the high temperatures are back with 'sunny skies, clear nights, and minimal cloud expected for most of the UK.' To bypass any squinting in this glorious sunshine, be sure to consider Oakley sunglasses, which you can buy through our online solution and collect conveniently in-store. If the glasses don't suit you, you can return them through us with no hassle whatsoever. Given the hot dry weather the golf course is baked at the moment and many of the fairways are almost unrecognisable from their usual green lush look that we would normally see at this time of year. Have a look at the contrast of how the first fairway looked last summer compared to this season, no wonder there is so much run on the ball! Which bracket do you fall in? There’s one thing that you'll always need in abundance when playing golf and that’s balls - and plenty of them. 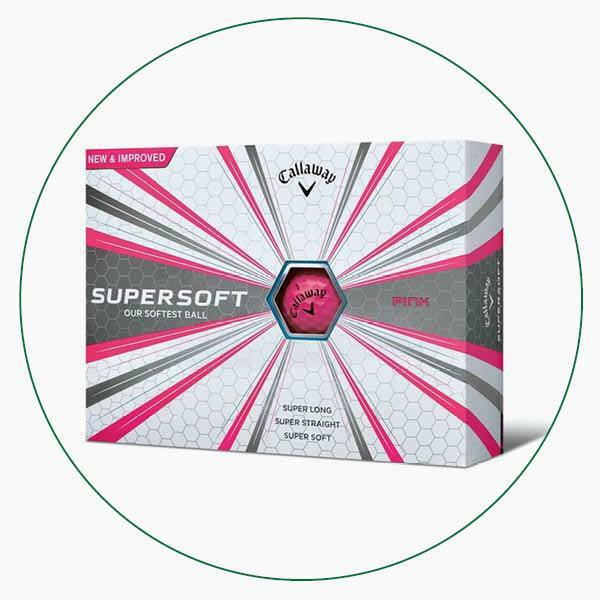 Each golf ball we sell offers different levels of feel and performance at varying price points, meaning we have something to offer all playing preferences and budgets. Balls at a cheaper price point usually have one key performance benefit rather than offering a little of everything. 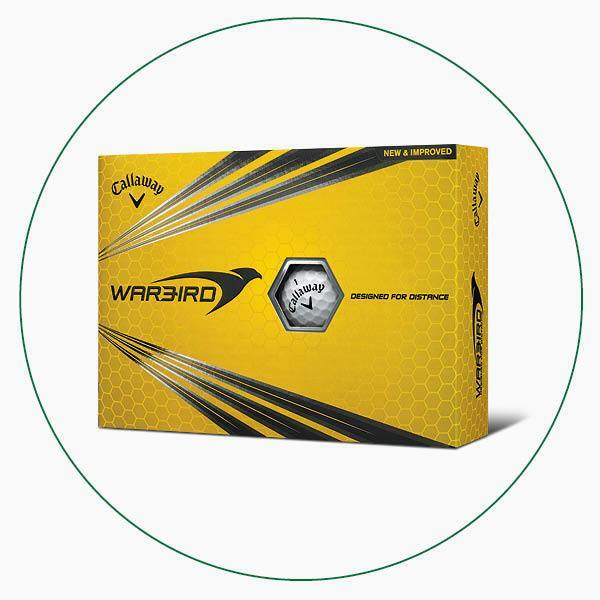 This Callaway Warbird follows the trend by offering maximum distance with your longer clubs thanks to its aerodynamic dimples and high-energy core, giving you lots of power for little expenditure. 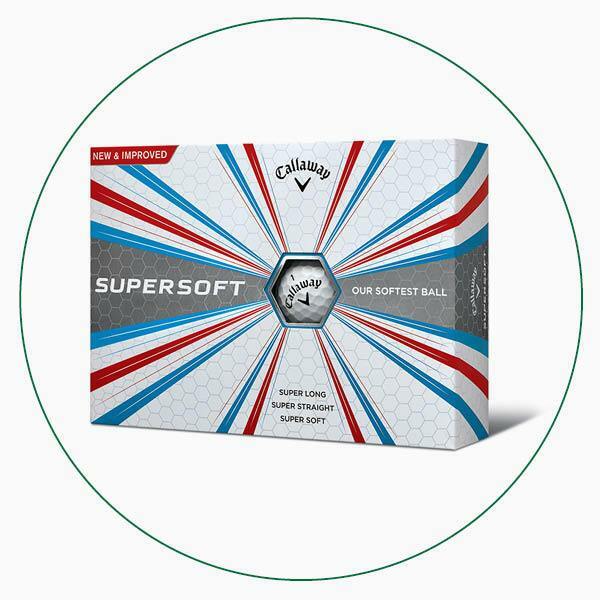 If you’re looking for more balanced performance through the bag but without the premium price tag, this Callaway Supersoft ball is designed to be long, straight and soft. It doesn’t spin as much as the Chrome Soft, but its low compression core helps create long, high flights that land softly. The saying 'you get what you pay for' certainly applies when it comes to golf balls. 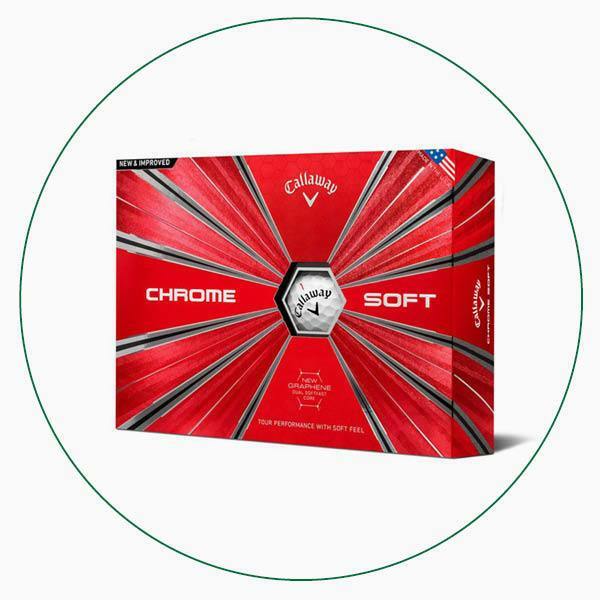 Callaway's Chrome Soft is their premium option, and it's easy to see why, with a soft urethane cover for short-game spin and a graphene-infused core that boosts ball speed and provides more iron control. 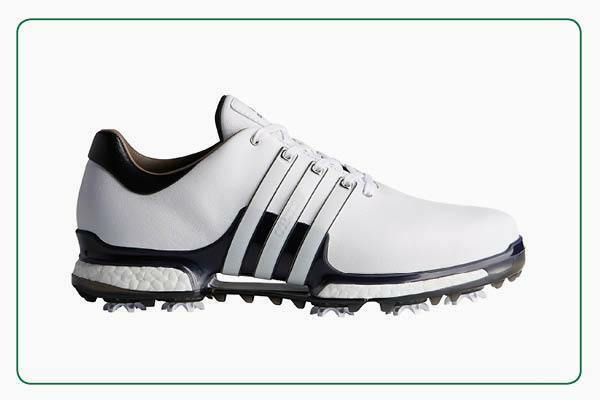 It’s hard to believe that over half of golfers are wearing the wrong size shoes. If we were to ask you, would you be confident you were wearing the correct size? 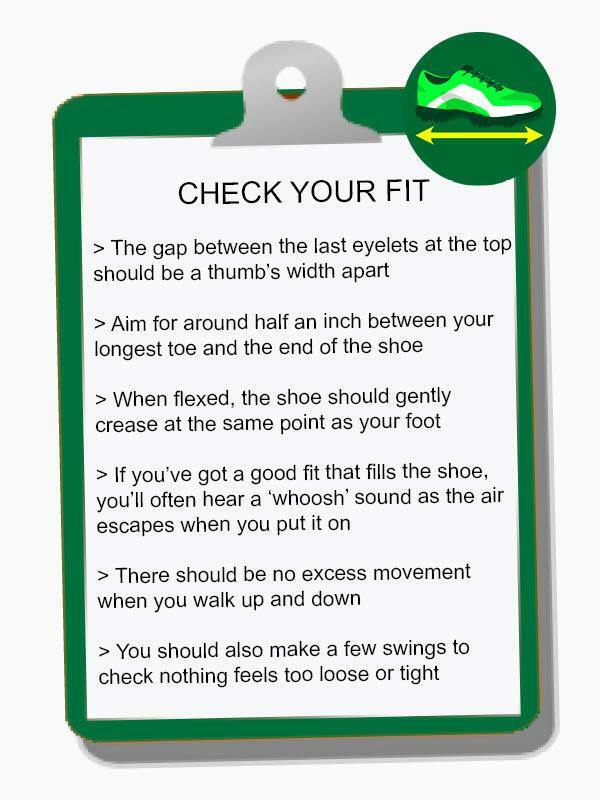 Have you ever been professionally measured for your golf shoes, including for width? You might wonder why all this is important. 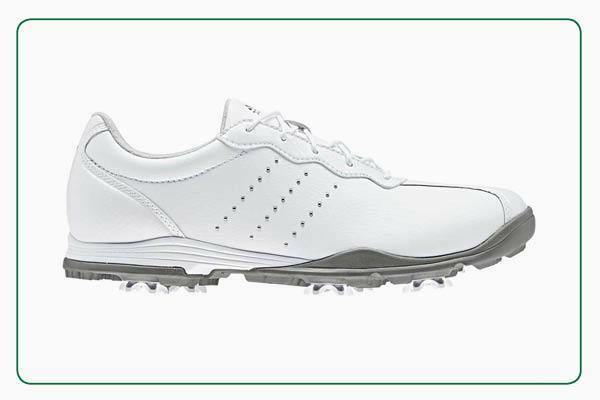 Buying properly fitted shoes has many benefits, such as holding their shape to look newer for longer, less upper creasing and splitting, and it allows you to use the ground efficiently to create power - and we all know that every yard helps. The women's adidas AdiPure DC comes in a range of sizes from 3.5 to 8.5, so it’s worth coming in to get measured before you buy. The adidas Tour360 BOOST 2.0 comes in a range of sizes from 6.5 to 13, so it’s worth coming in to get measured before you buy. Introducing Motocaddy's new compact electric trolley range - the 2018 M-Series. 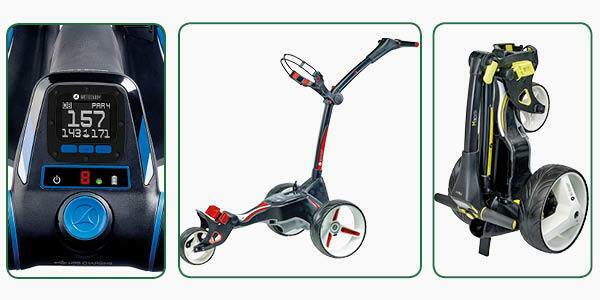 This line-up is in addition to the immensely popular S-Series, and has an 11% smaller folded footprint than any other compact trolley on the market, making it car boot friendly and perfect for easy transportation and storage. Explore the four new trolleys, including a world first, by clicking on the link below. 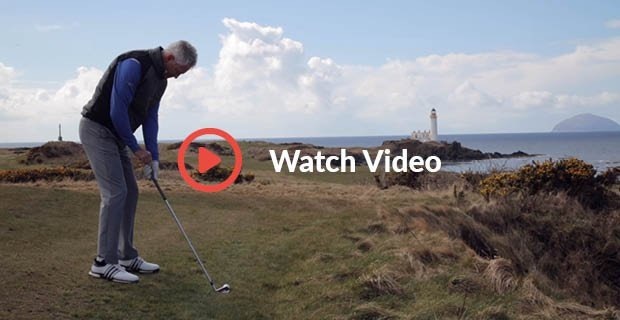 Our 'Tips from the Tour' video series continues this week as we look at how to play those tricky shots when the ball is lying above or below your feet.